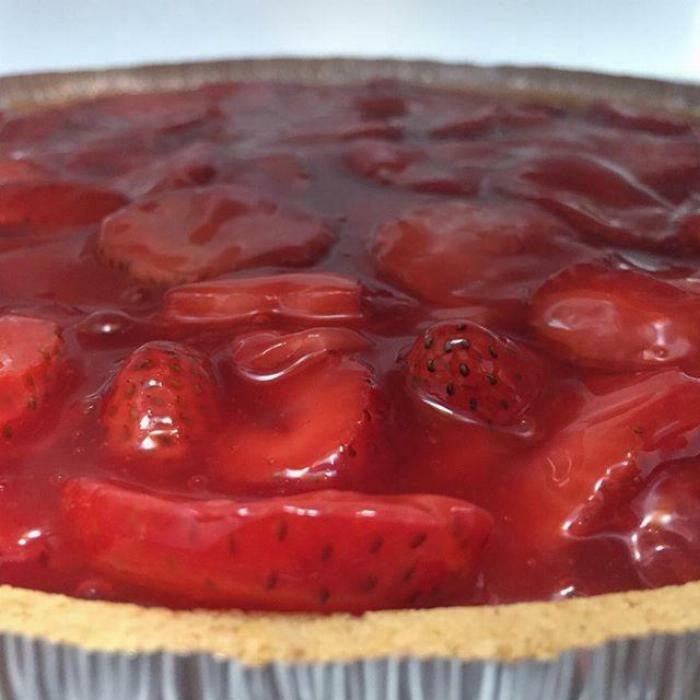 A light pie that is great for summer but can be enjoyed anytime of year! 1Wash and Slice strawberries and set aside. In a large saucepan, combine cornstarch and water until smooth. Bring to a boil; cook and stir for 2 minutes or until thickened. 2Remove from the heat; stir in gelatin and sugar until dissolved. Stir in sliced strawberries. Pour into the crust. Cover and refrigerate for 2 hours or until firm. 3Garnish each serving with whipped topping if desired. You can eat it just as it is though. I won't tell!